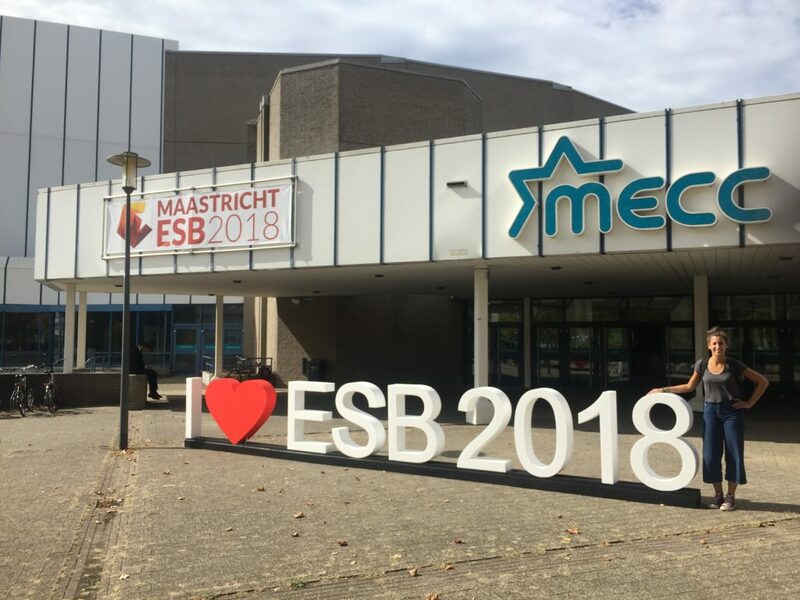 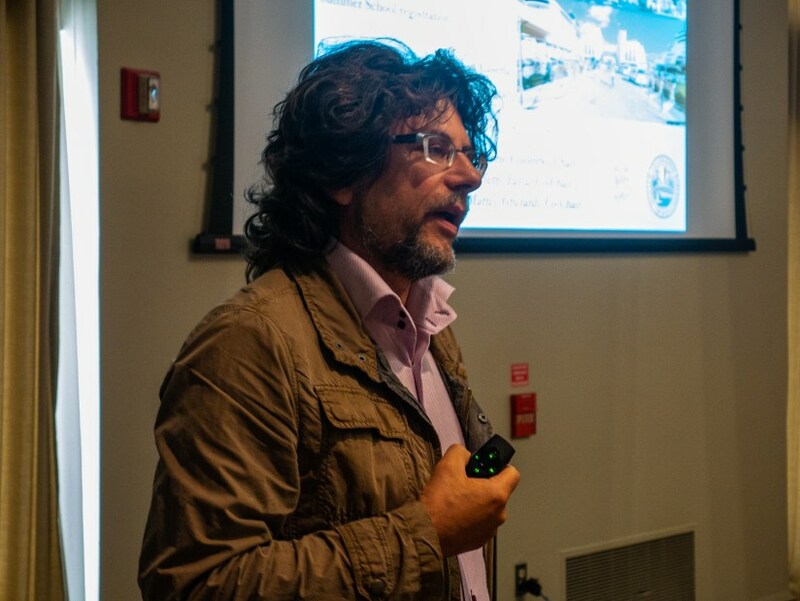 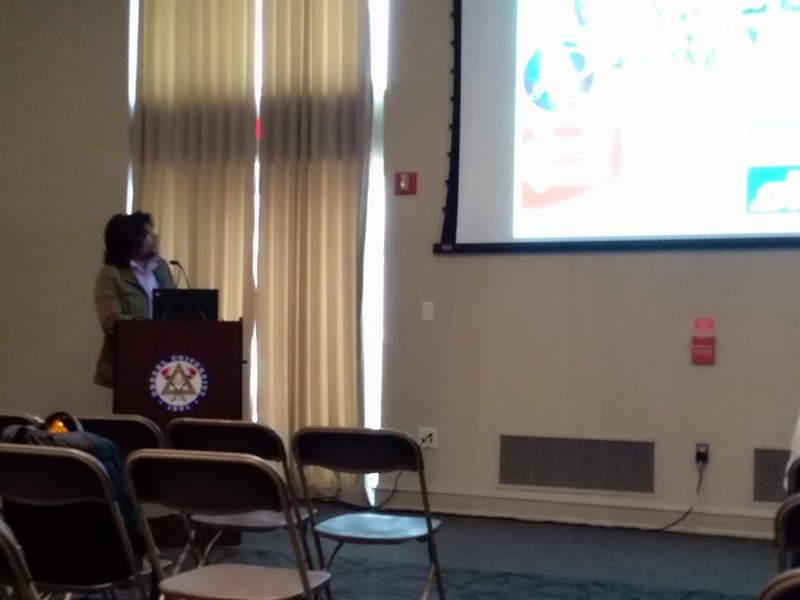 On October 31, 2018, Prof. Maher Boulos from the University of Sherbrooke, Québec , held the lecture “Innovation opportunities in thermal plasma technology”. 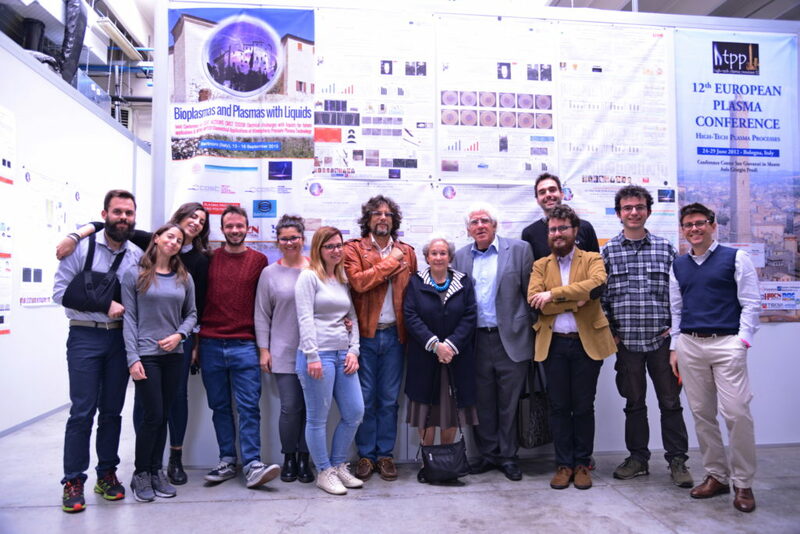 We thank him for visiting our class and laboratory! 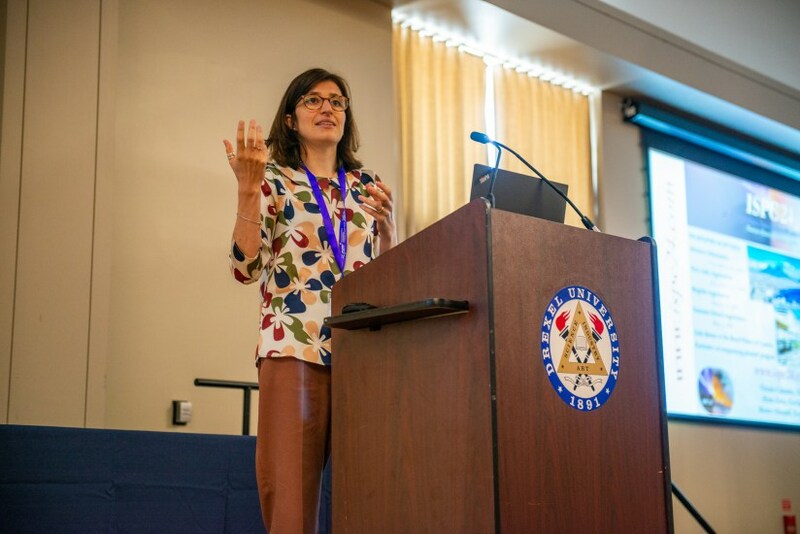 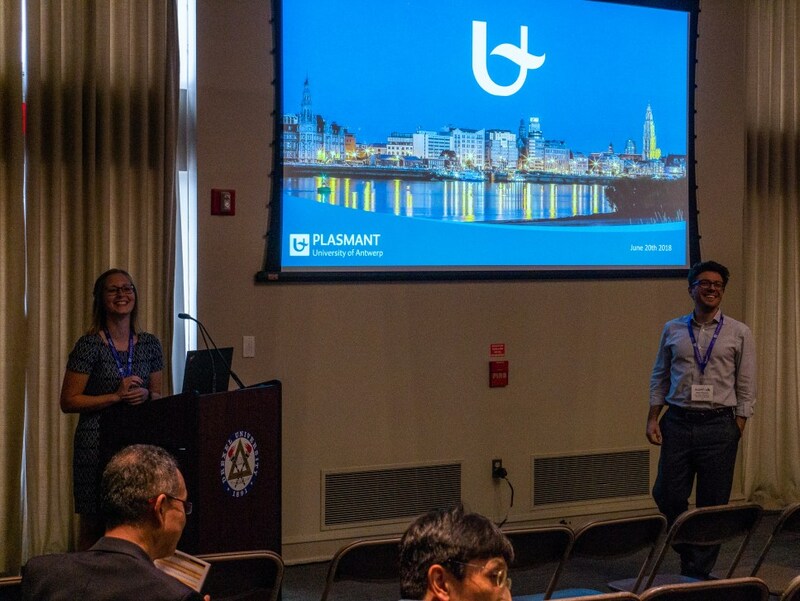 The Gordon Research Conference “Plasma Processing Science” was held at the Bryant University in Smithfield, (RI, United States) from the 5 to the 10 of August 2018. 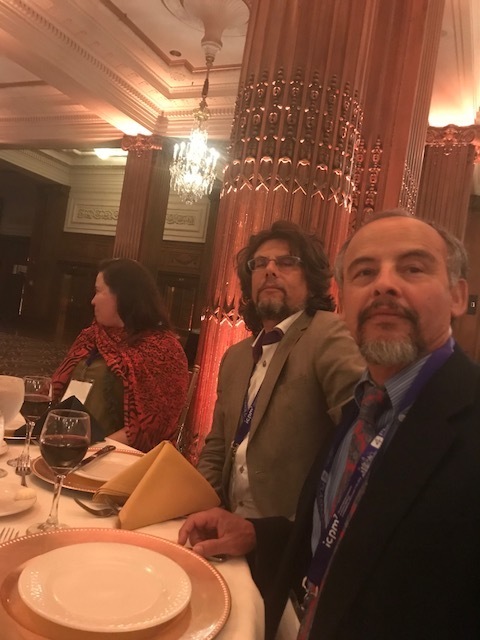 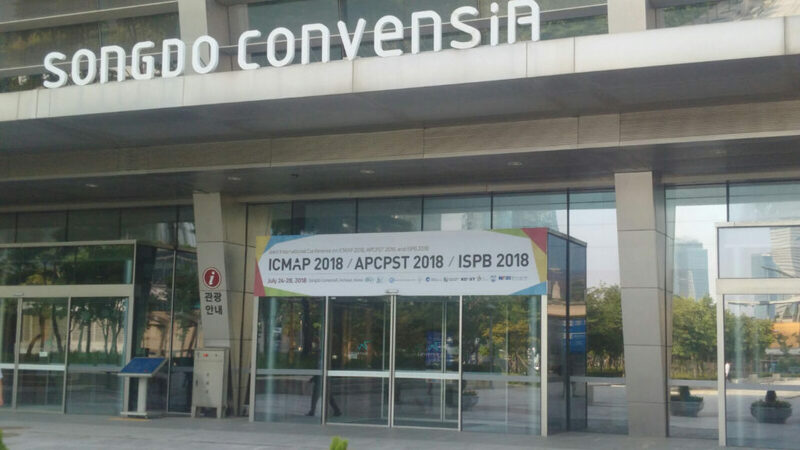 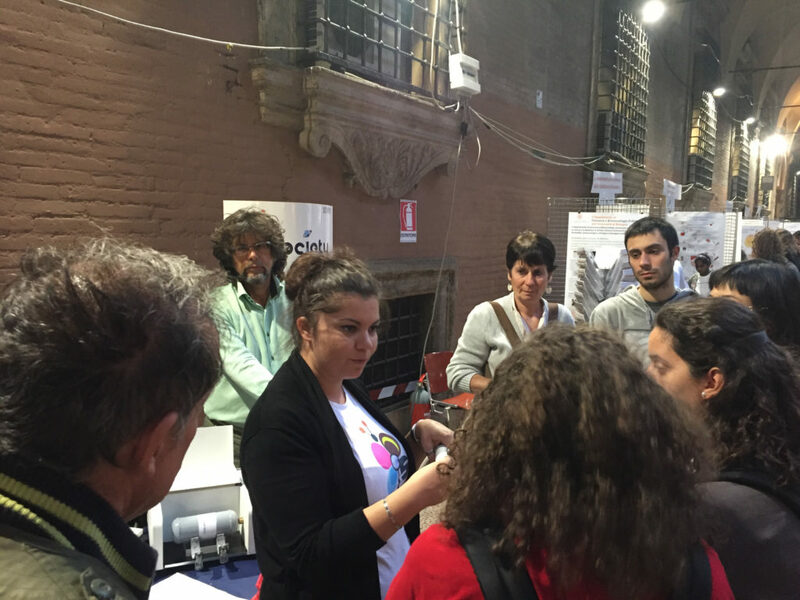 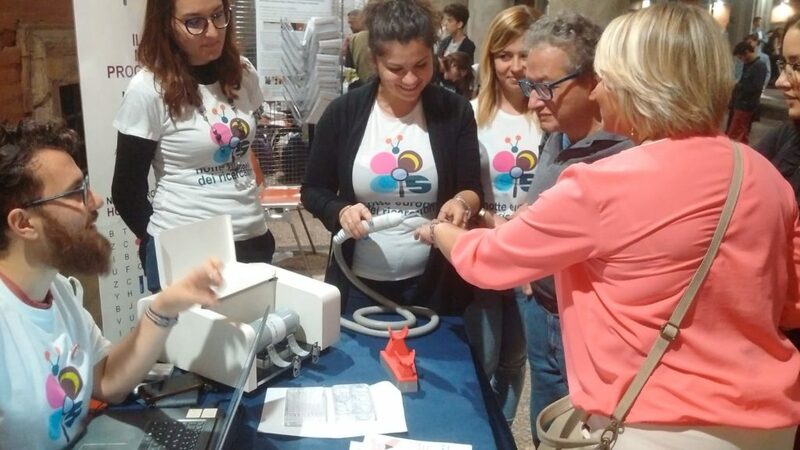 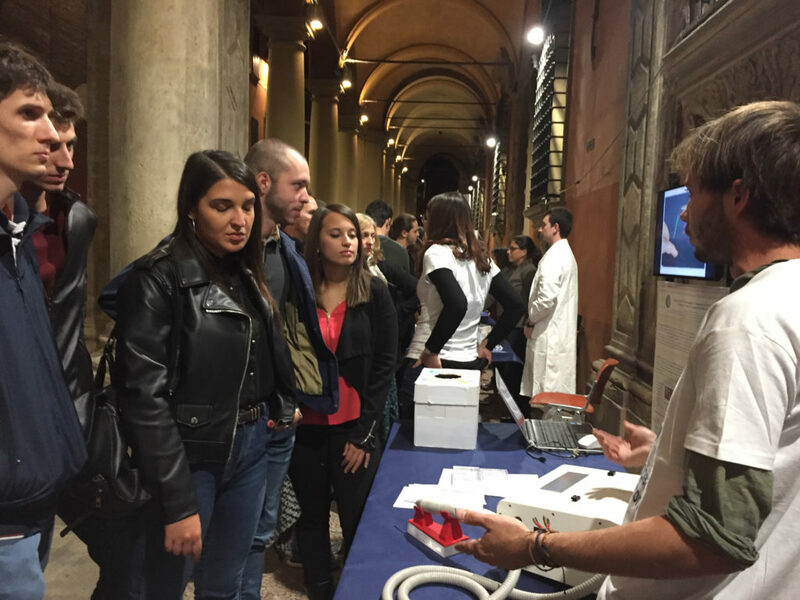 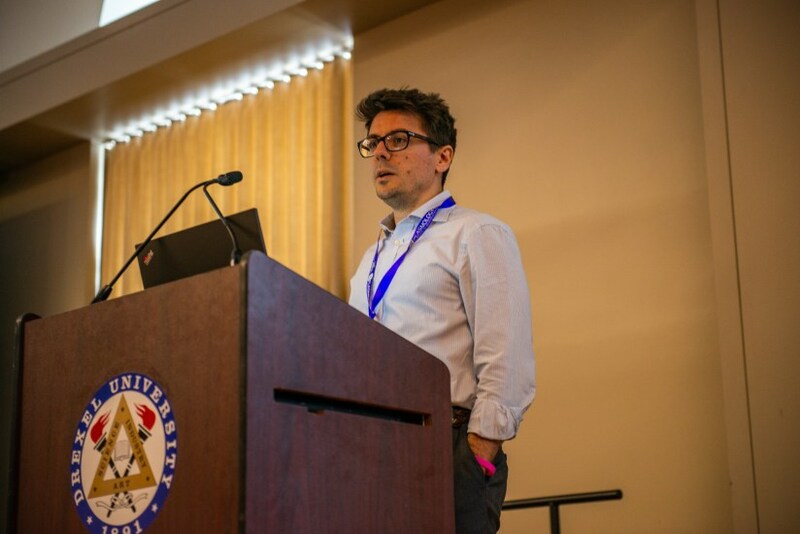 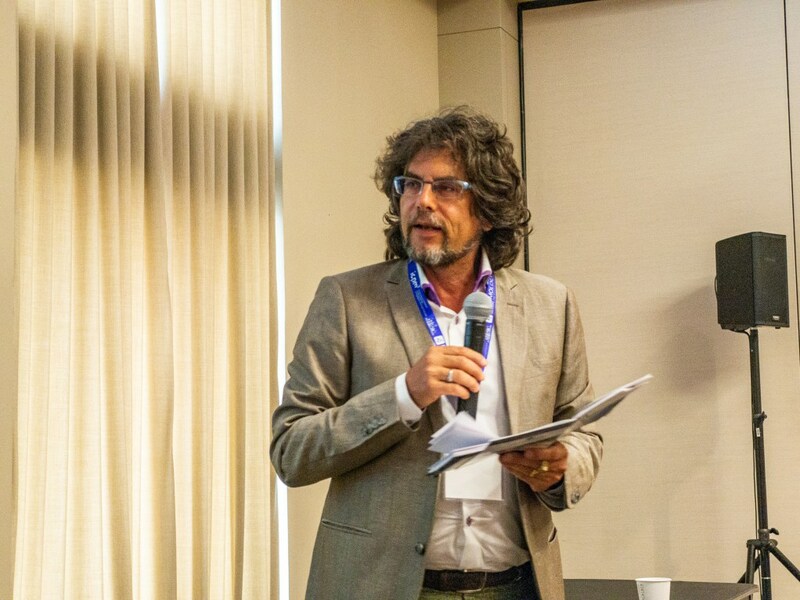 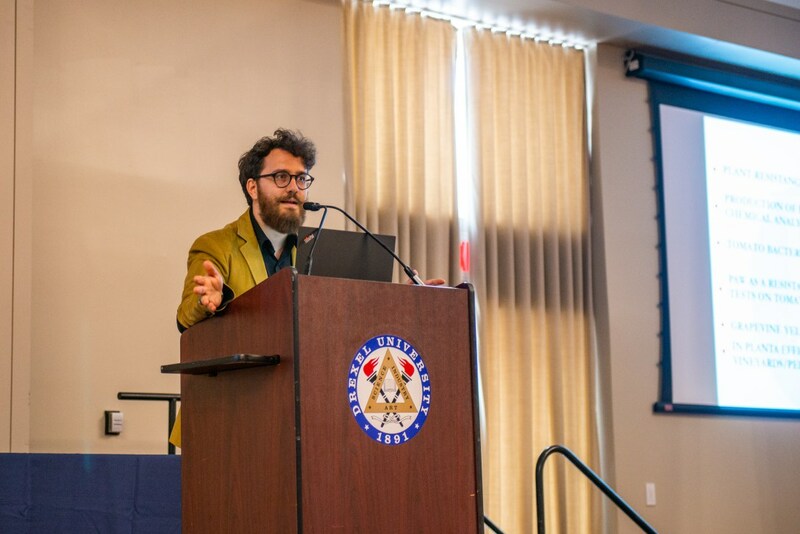 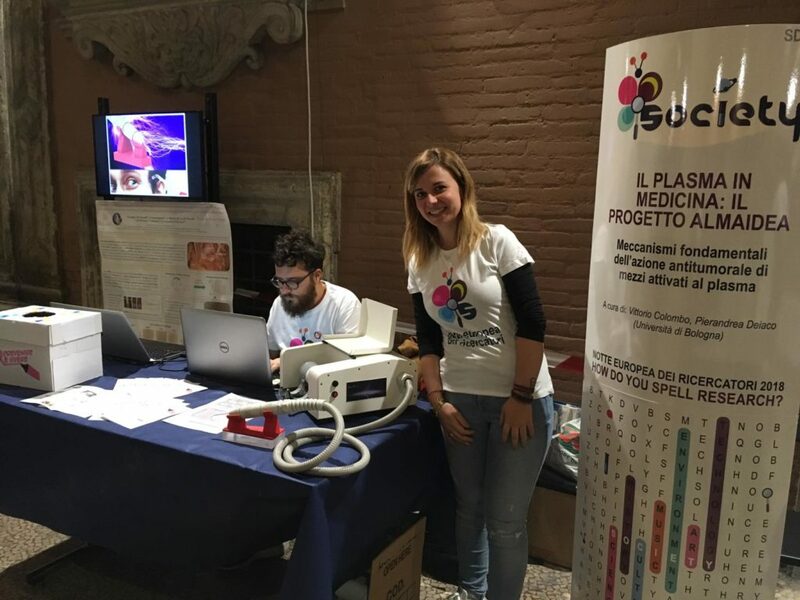 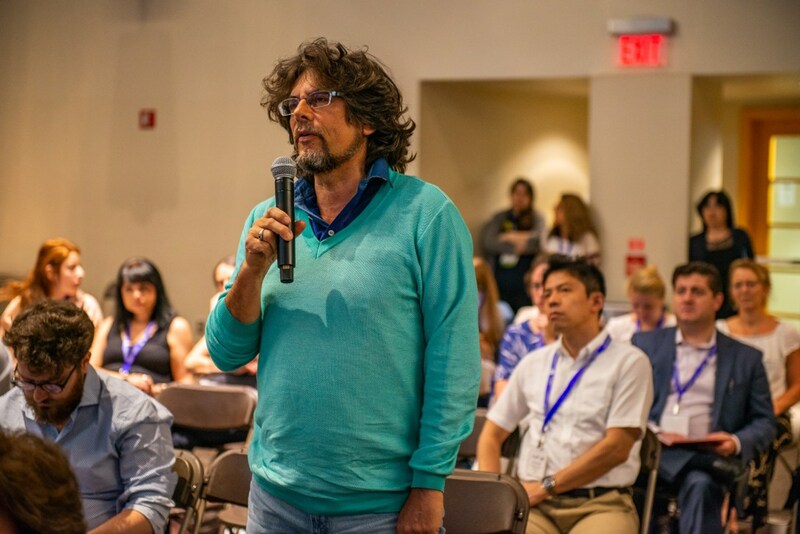 Prof. Vittorio Colombo participated to ICMAP 2018! 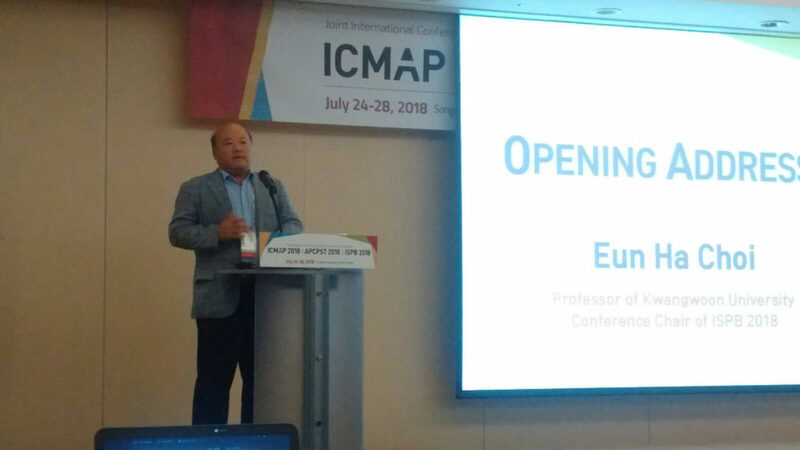 Prof. Vittorio Colombo participated to the 7th International Conference on Microelectronics and Plasma Technology, ICMAP 2018, Joint International Conference on ICMAP 2018, APCPST 2018 and ISPB 2018, which was held in Songdo Convensia, Incheon, Korea, on July 24-28, 2018. 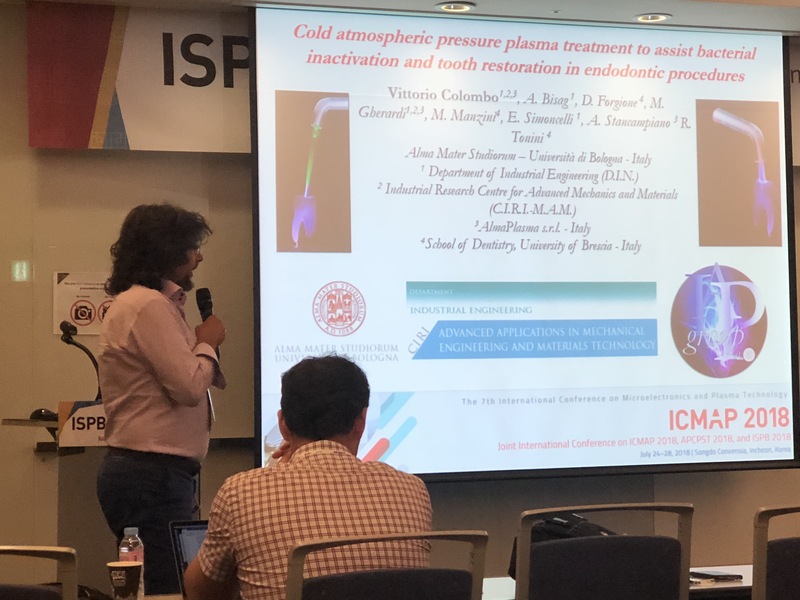 Cold Atmospheric Pressure Plasma Treatment to Assist Bacterial Inactivation and Tooth Restoration in Endodontic Procedures. 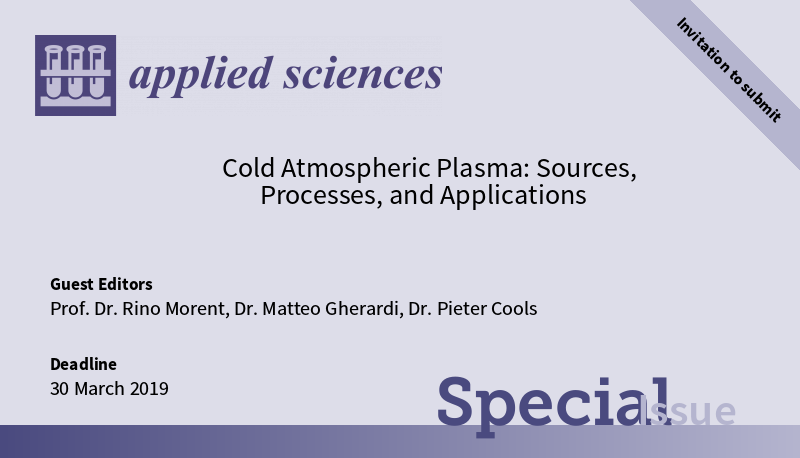 “Cold Atmospheric Plasma: Sources, Processes, and Applications” is a Special Issue of Applied Sciences (ISSN 2076-3417) . 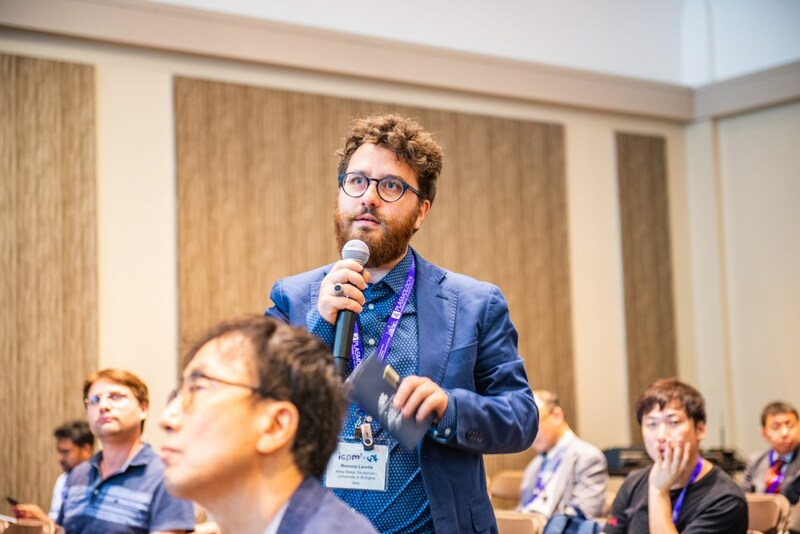 This special issue belongs to the section “Optics and Lasers” and it is now open for submission! 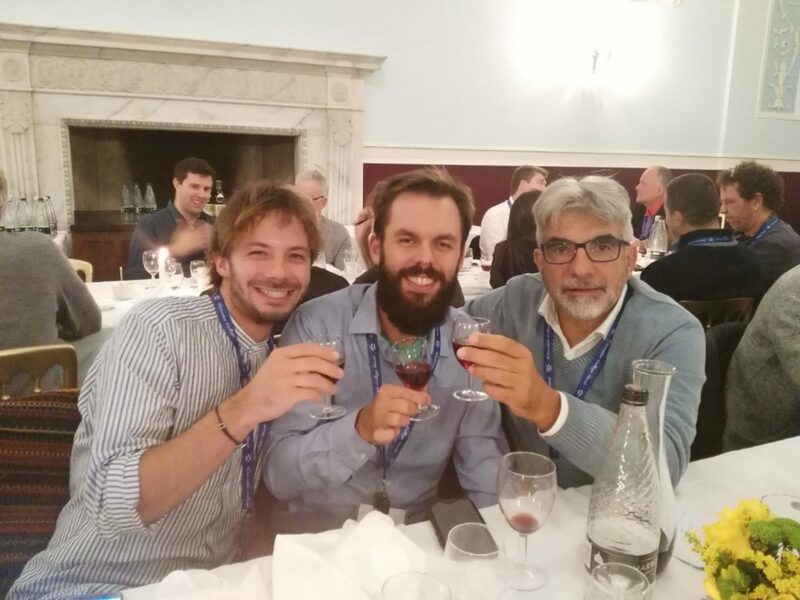 Prof. Dr. Rino Morent, Dr. Matteo Gherardi and Dr. Pieter Cools are the Special Issue Editors. 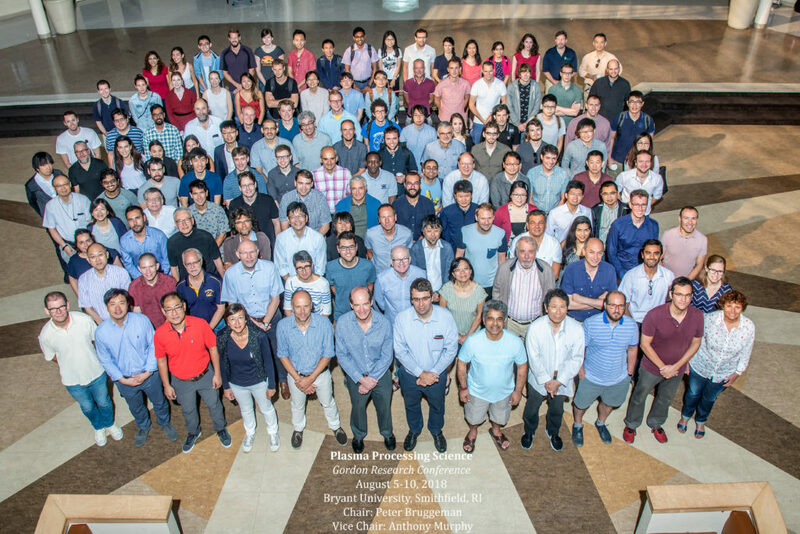 The overall goal of this Special Issue is to gather research operating at the frontiers of plasma surface modification technology to give a clear perspective to both experts and non-experts on the current trends in the field, covering the employed plasma sources, the innovative processes under development, the envisioned applications and the future challenges to be tackled by the scientific community. 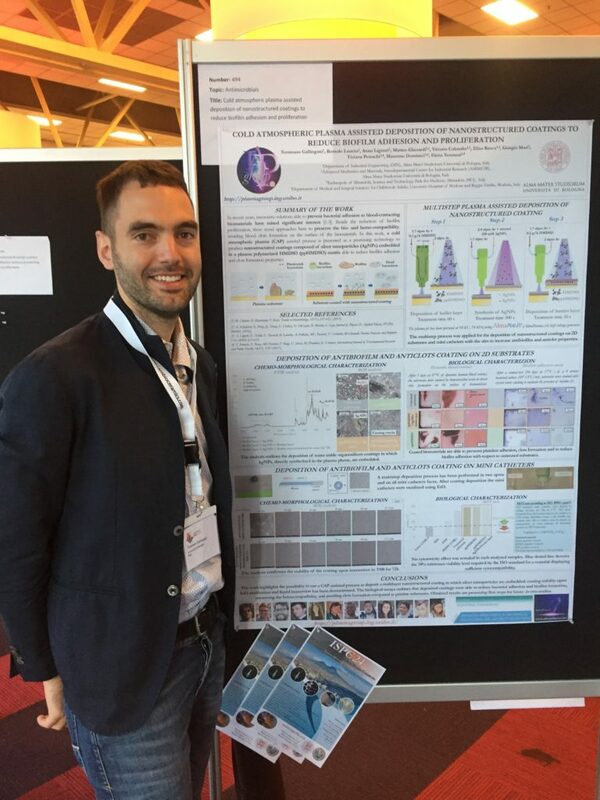 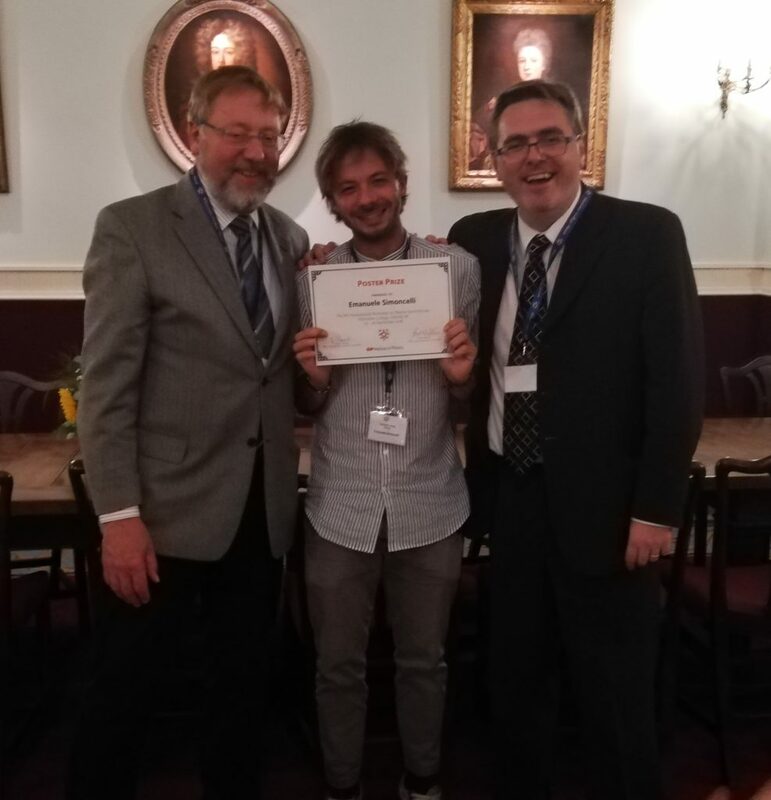 Dr. Matteo Gherardi was awarded with The Early Career Award at ICPM7!! 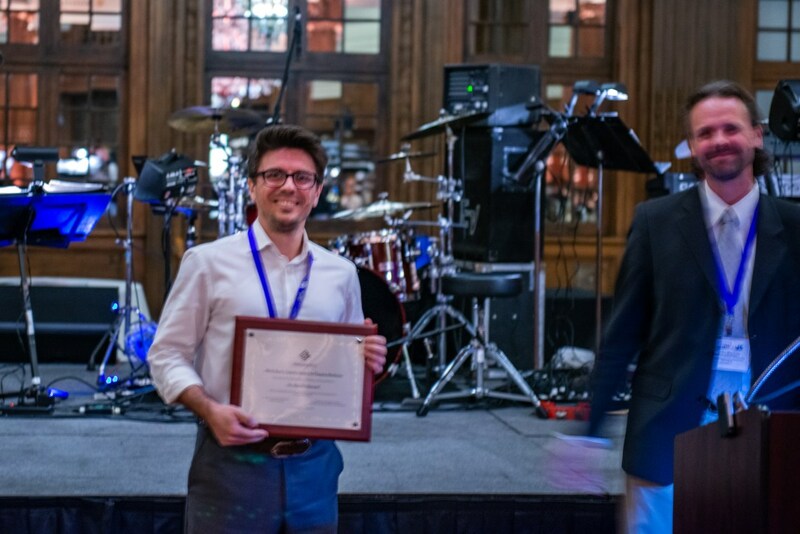 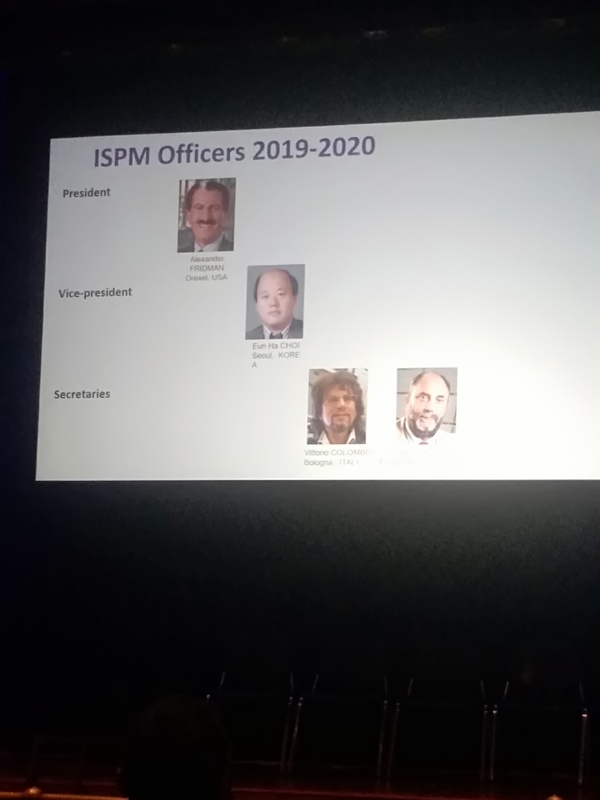 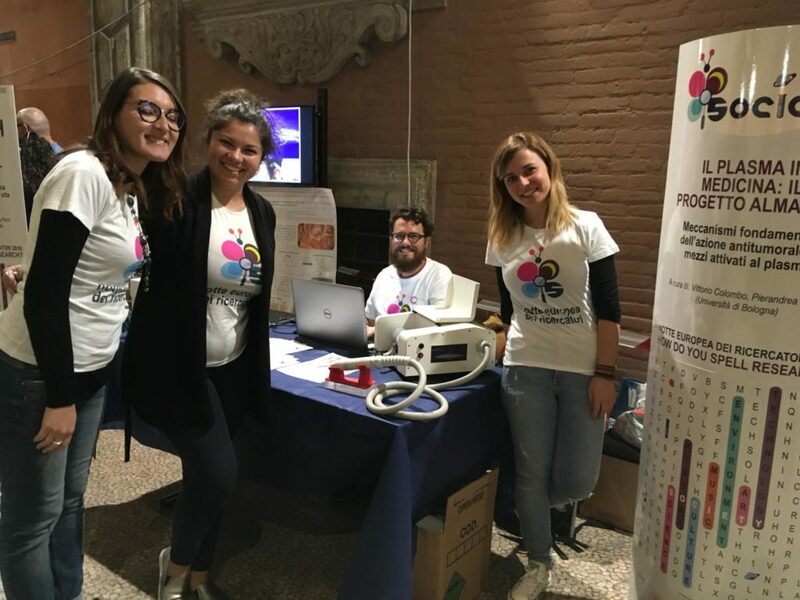 The Board of Directors of the International Society for Plasma Medicine awarded Dr. Matteo Gherardi with the Early Career Award in Plasma Medicine (ECAPM) at the 7th International Conference Plasma Medicine (ICPM7) in Philadephia. 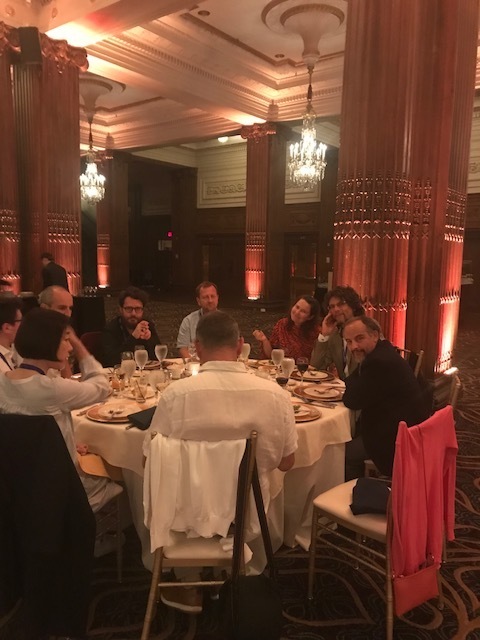 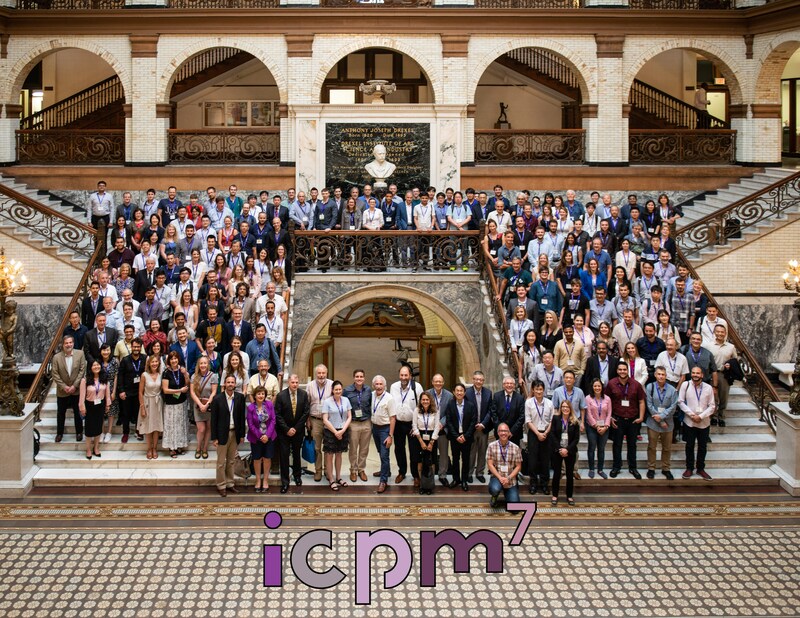 The 7th International Conference on Plasma Medicine was held in Philadelphia, USA on June 17-22, 2018. 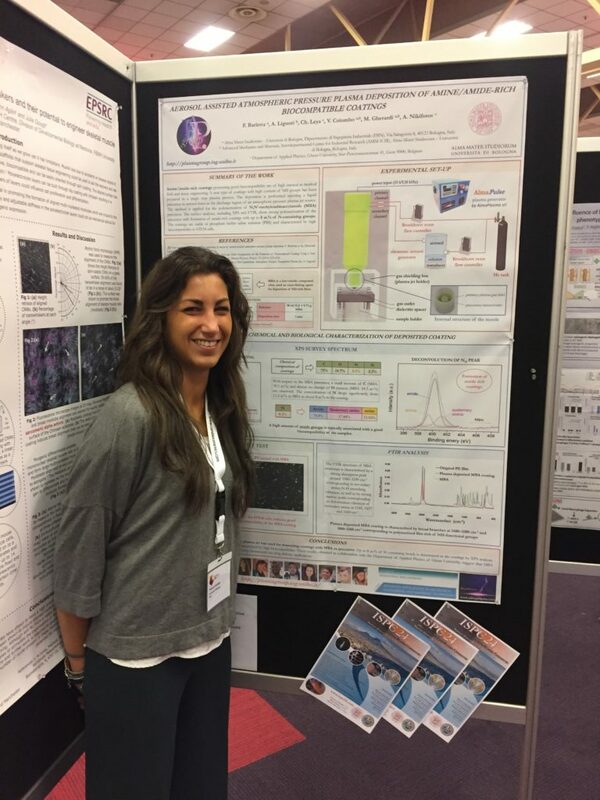 Correlation between the concentration of reactive species produced by a Surface Barrier Discharge plasma source and its antimicrobial effects (poster presentation). 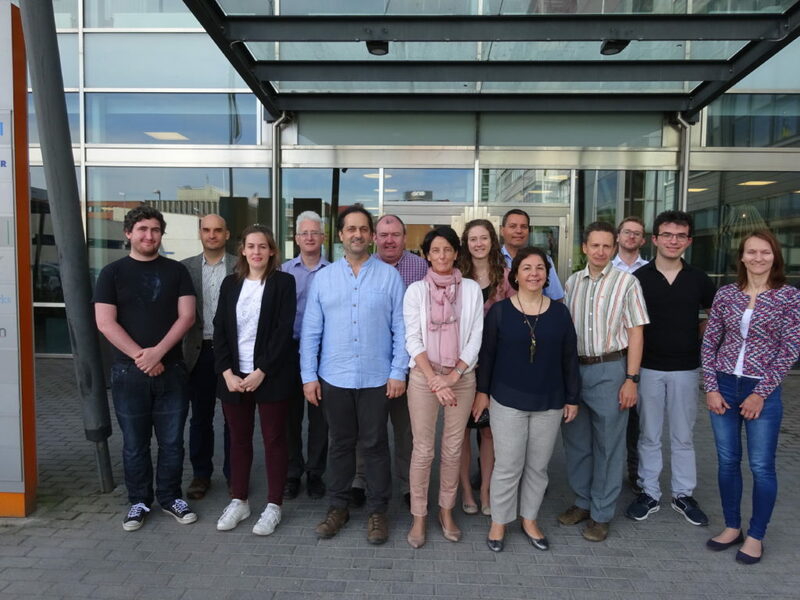 Group photo from the M42 meeting of the project INSPIRED (INdustrial Scale Production of Innovative nanomateRials for printEd Devices), hosted in Kista (Stockholm), Sweden from the 12 to the 14 of June 2018.